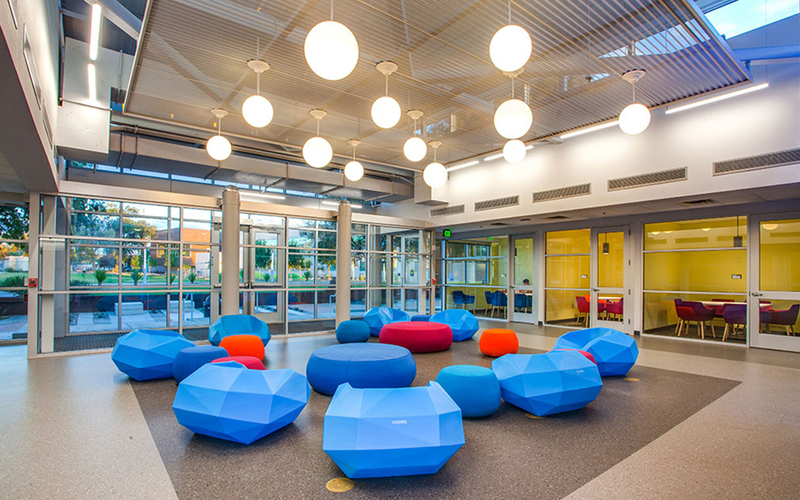 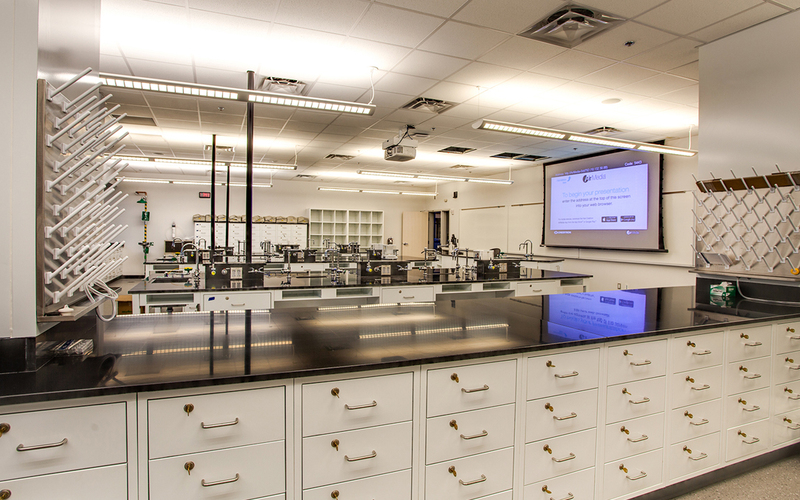 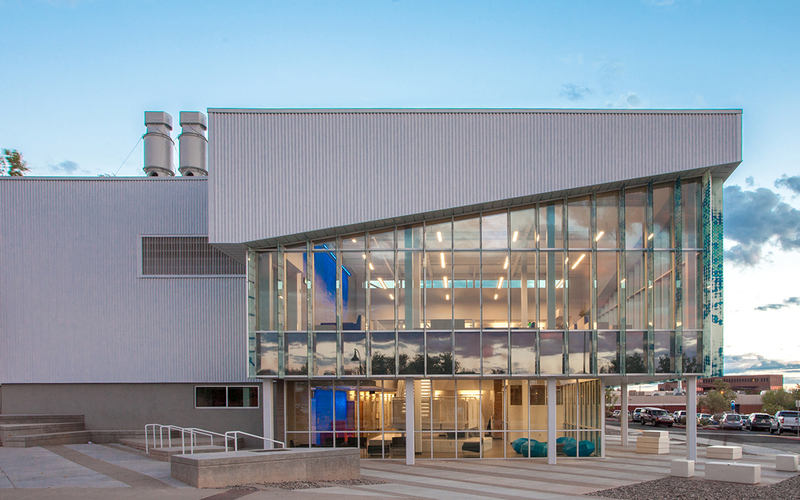 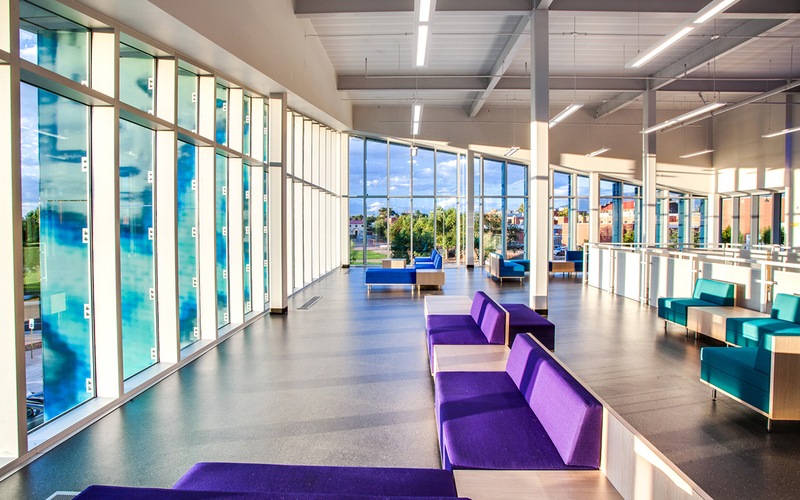 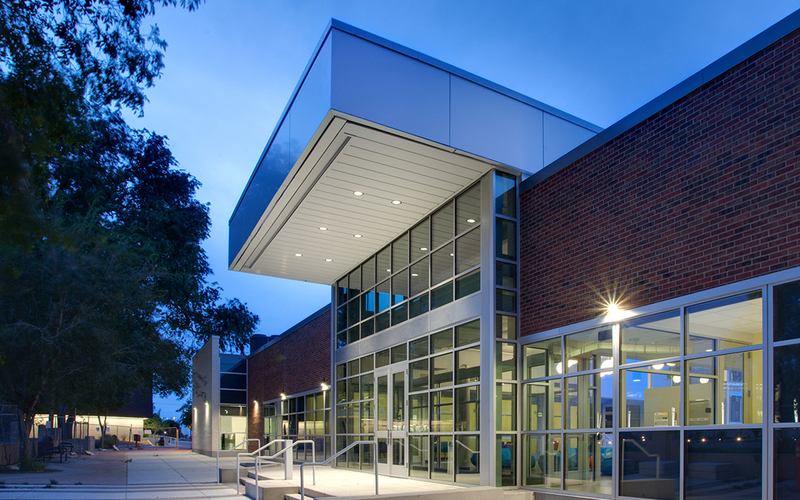 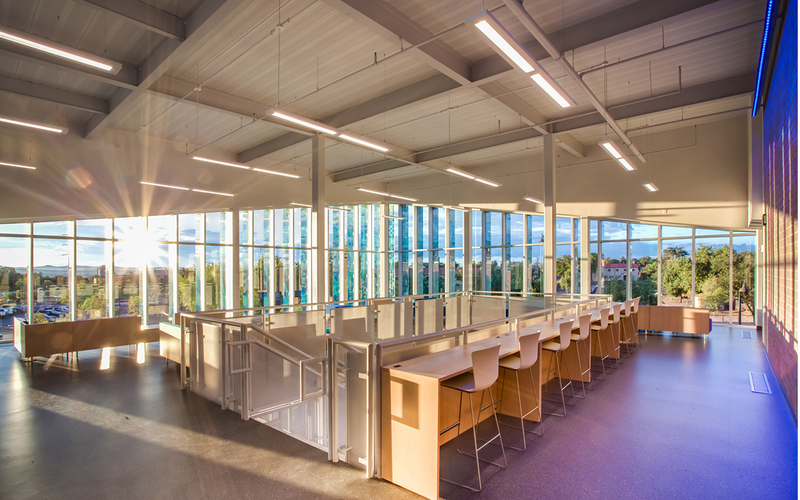 The design for the renovation and addition of Building L at the Central New Mexico main campus was driven by CNM’s desire to create an identity for their science programs. 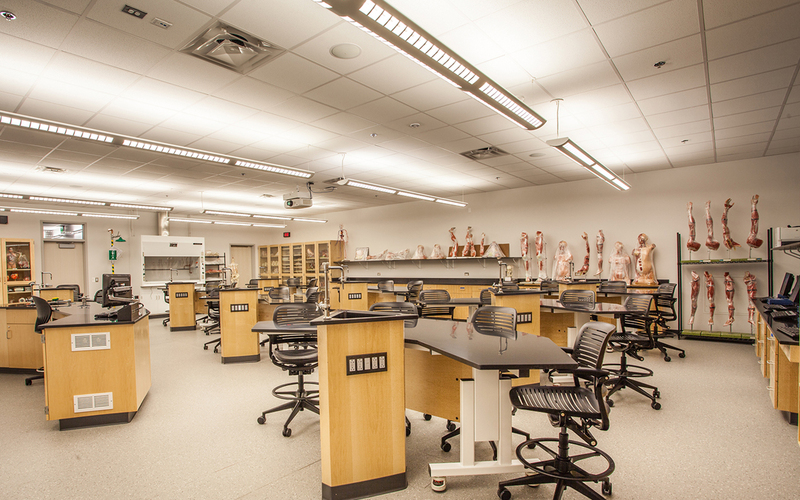 Providing upgraded specialized labs and improved classrooms, the building serves as a recruitment tool that promotes the CNM science program objectives for quality education and innovation. 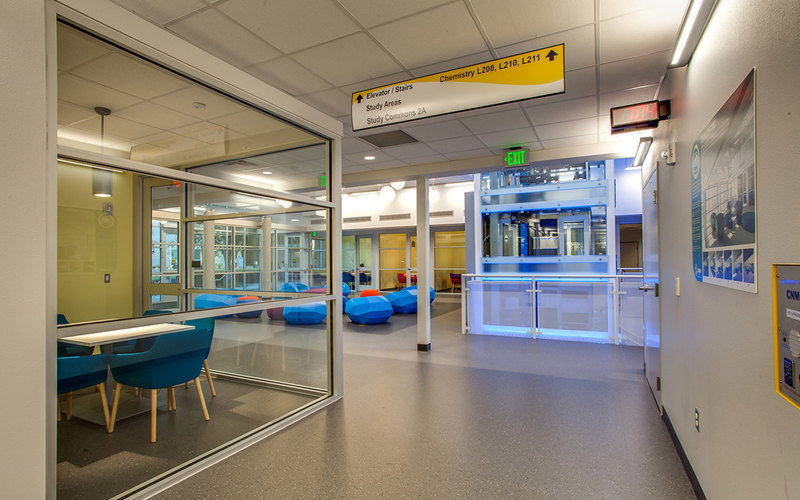 The project serves the Science Technology Engineering Math (STEM) initiative and the dual credit programs with AIMS charter school and the CNM College and Career Academy. 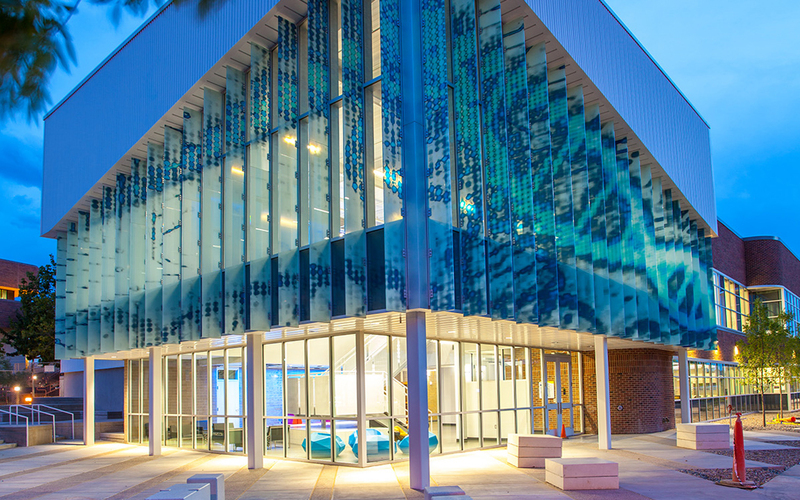 The building design promotes the concept of ‘building as laboratory’ where interactive exhibits and signage identifies systems that are integral to the effectiveness of the building function and environment.